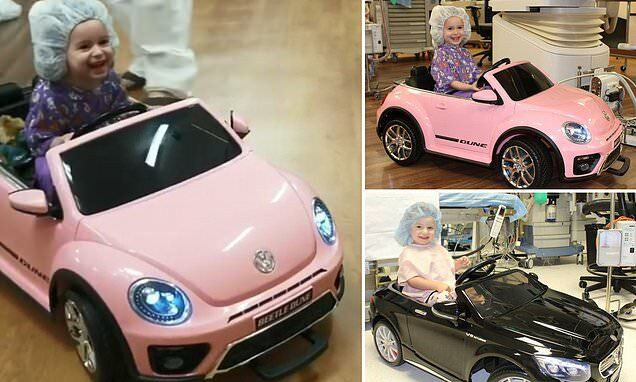 The Doctors Medical Center in Modesto, California, shared a video of one of their young patients driving around a small, pink Volkswagen Beetle while wearing a hospital gown and surgical cap. The child videoed in the pink car is named Caroline, the med center explained, and she got to drive the vehicle into the operating room ahead of her surgery. Doctors Medical Center has not just one car, but two, both of which were donated by members of the community for their 'littlest patients' to use.